Rangers' use of EBTs and the subsequent appeals by HMRC became known as the "big tax case"
English Premier League and EFL clubs could be forced to hand over millions of pounds of unpaid tax after a Supreme Court ruling against Rangers. The seven-year legal dispute between the Scottish club and the taxman - known as the "Big Tax Case" - ended on Wednesday. The UK's highest court of appeal ruled in favour of HM Revenue and Customs (HMRC) over Rangers' use of tax-free loans to pay players, managers and directors more than £47m between 2001 and 2010. Instead of paying players a salary - which is subject to Income Tax and National Insurance - Rangers put millions of pounds into trusts (called Employee Benefit Trusts or EBTs) which were then taken as tax-free loans by staff. Several clubs in England used similar schemes to reward players and directors and, although some have made settlements, the ruling means HMRC can now demand receipt of that unpaid tax without taking them to court. David Richardson, the director general of HMRC's Customer Compliance Group, said: "The decision has wide-ranging implications for other avoidance cases and we encourage anyone who's tried to avoid tax on their earnings to now agree with us the tax owed." Andy Wood of Enterprise Tax Consultants, who worked with one English club to strike a deal, said "the indications are that the sums involved could run into tens of millions of pounds". What else is HMRC looking into? Earlier this year, HMRC set up a "specific football compliance project" after suggestions from the House of Commons' Public Accounts Committee that image rights payments made to players appeared excessive. A HMRC spokesman has told BBC Sport that more than the tax affairs of 67 players, 39 clubs and 13 agents are now being looked at "concerning a range of issues, including image rights abuse". He added that more than 100 footballers are being investigated "in relation to the use of tax avoidance schemes". "Clubs argue that payments are made in accordance with the law and arrangements with HMRC," tax expert Wood explained. "That's because, in 2000, a court ruled that clubs could use companies to handle image rights payments on behalf of players such as Dennis Bergkamp and David Platt. "And some Premier League clubs have reached a 'gentleman's agreement' with HMRC about what is an acceptable percentage image rights payments can be of a footballer's overall earnings." Over the next three years, Revenue experts are to visit every English Premier League, Championship and Scottish Premier League club to review those arrangements. Both Newcastle United and West Ham United were subject of raids by the Revenue in April this year - although Newcastle claim HMRC removed documents incorrectly. Rangers tax case ruling - what does it mean? 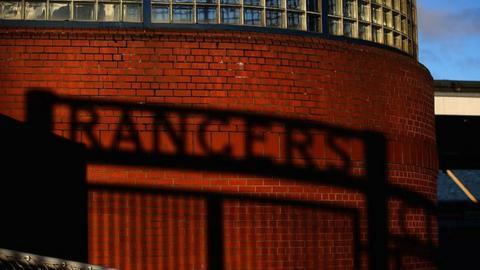 Read more on Rangers tax case ruling - what does it mean?